Clarence Seedorf has dropped China-based players including captain Benjamin Moukandjo for his first squad as Cameroon coach. As well as Moukandjo, who plays for Beijing Renhe, striker Christian Bassogog from China’s Henan Jianye misses out. The duo were key to Cameroon winning the 2017 Africa Cup of Nations title in Gabon. 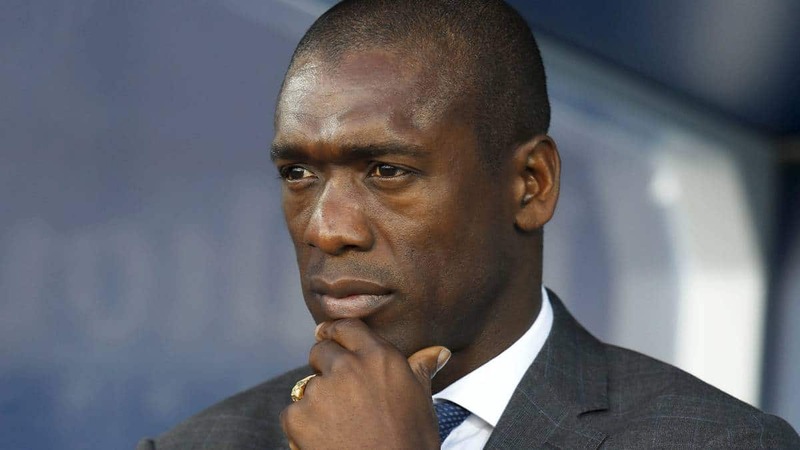 “Good young players don’t compete in China or in Asia,” Seedorf said. Seedorf was talking as he named his squad to face Comoros in a 2019 Nation Cup qualifier in September. “The best players want to play for the best clubs in Europe and appear in top competitions like the Champions league,” he continued. “We need good results and for that we have to build a competitive squad. “This is just the beginning but we want to start imposing our winning philosophy and setting up the team like we’ll like to see them play. There’s also disappointment for Marseille attacker Clinton Njie, who managed seven goals in 22 Ligue 1 games last season. Njie began last season in a good form but lost his starting spot in the team half way into the campaign. There’s a surprise call up for 26-year-old Paul-Georges Ntep from German side Wolfsburg, who is set to switch nationality having played two friendlies for France in 2015. Ntep was born in Cameroon and so is eligible to play for the Indomitable Lions as he has not played a competitive match for France. There are also first call-ups for defenders Adrien Tameze of Nice and Jerome Onguene of Red Bull Salzburg. Seedorf added that he has been talking to several players, including Torino centre back Nicholas Nkoulou, about the possibility of them making themselves available for the Indomitable Lions agaion. . The Indomitable Lions begin training on 3 September in Kenya before jetting off to Mitsamiouli three days later for their match against Comoros on 8 September.